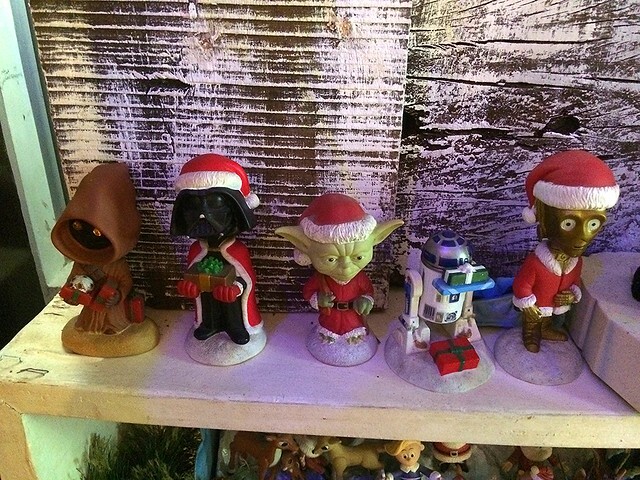 Merry Christmas in advance! 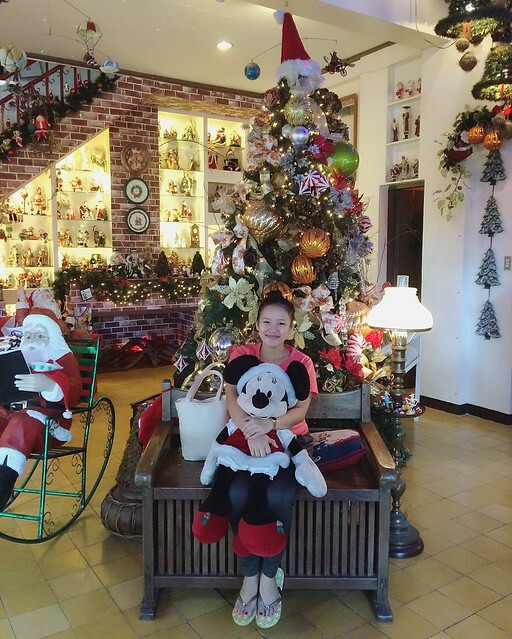 So many kids are excited now for the upcoming holiday season! 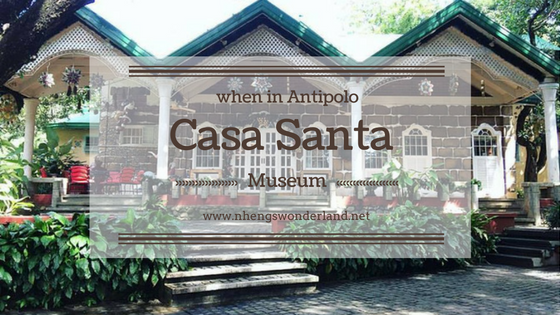 And by that, we couldn't wait for December to finally visit Casa Santa Museum in Antipolo. The Casa Santa museum is one of the highlights of Jardin de Miramar. 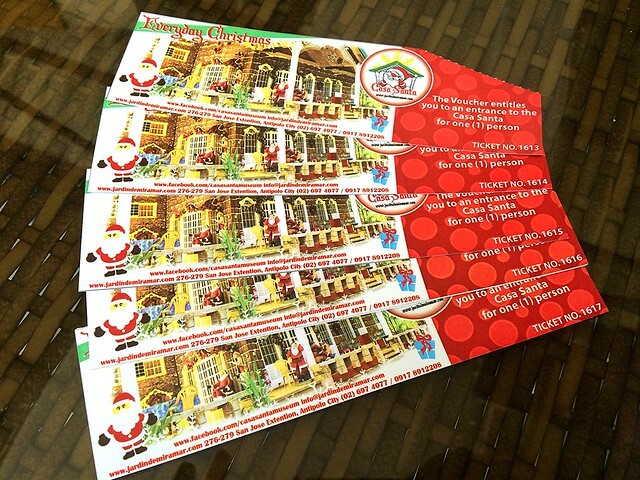 It’s a museum of more than 3,700 items with Christmas and Santa Claus themes and motifs from different countries around the world. 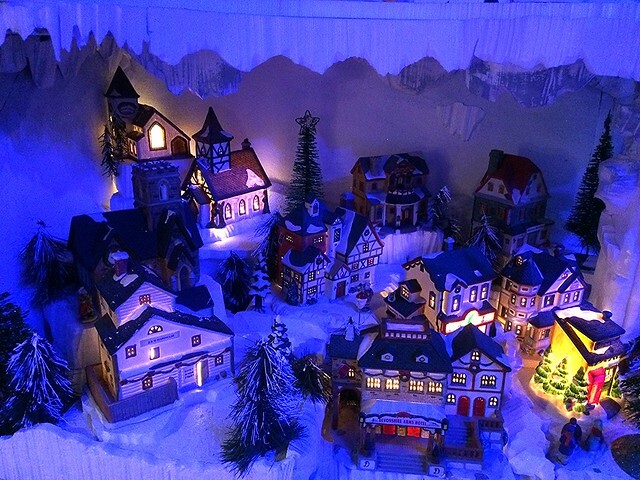 It’s a wondrous sight to see during the Holidays, and even during the other parts of the year. 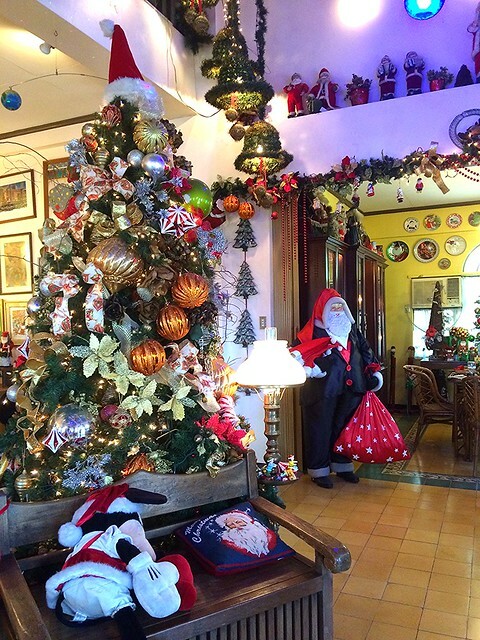 The Casa Santa has been extensively featured in TV shows like Umagang Kay Ganda, Unang Hirit, and One Morning, and publications like Star Magazine and Disney Princess. 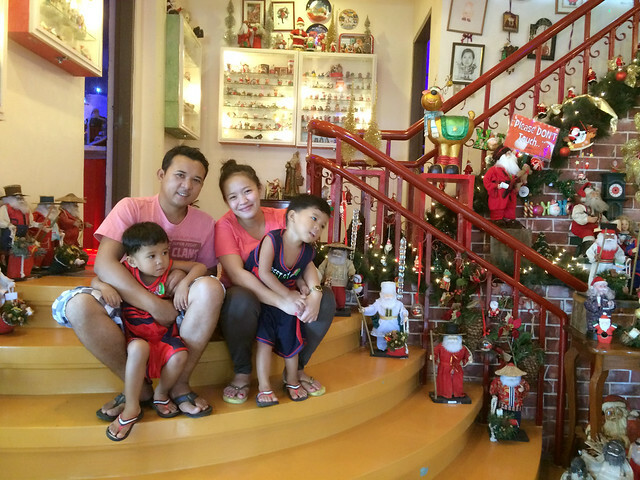 Together with my workmates, partner and my twins, we headed into Jardin Miramar in San Isidro, Antipolo City. 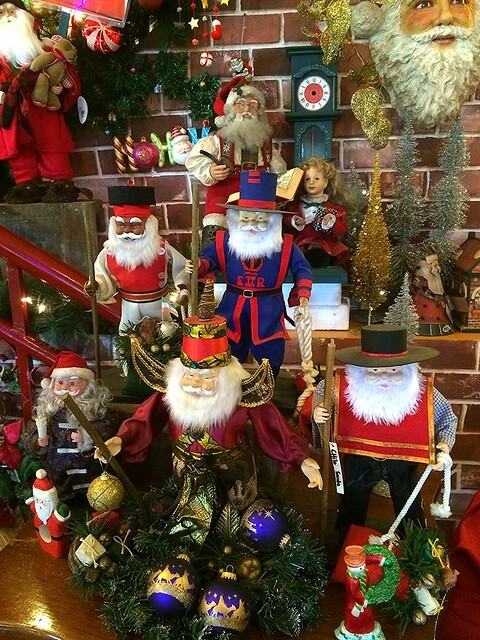 I've been wanting to go here and see all the different Santa Claus collectibles. 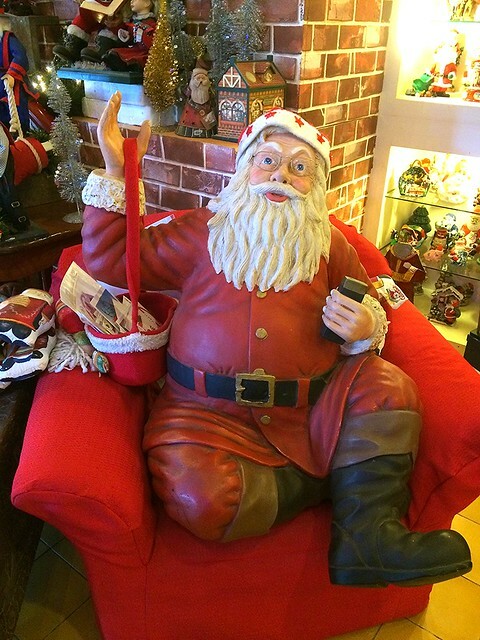 Growing up, we didn't really believe if there is actually a Santa Claus. 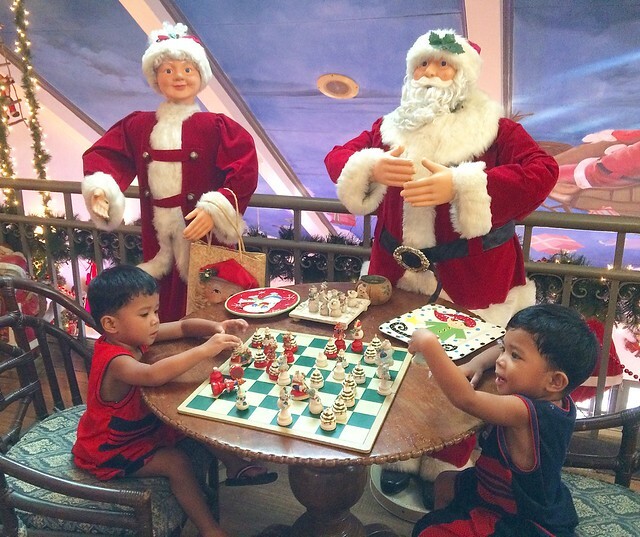 And though I haven't introduce Santa Claus to my kids, it was the best time for them to know him and feel the jolly of early Christmas! Before going there, one of my workmates Andrea made a reservation for us. A maximum of 5 persons is required for the appointment. An amount of P180 pesos is the entrance fee and 3 yrs old and below is free. Say hello Casa Santa! 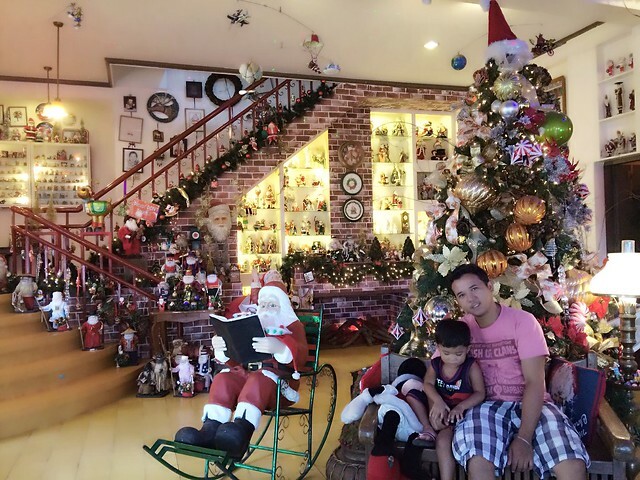 That's my friend Aby, making a wish to Santa Claus. Wish nga ba? 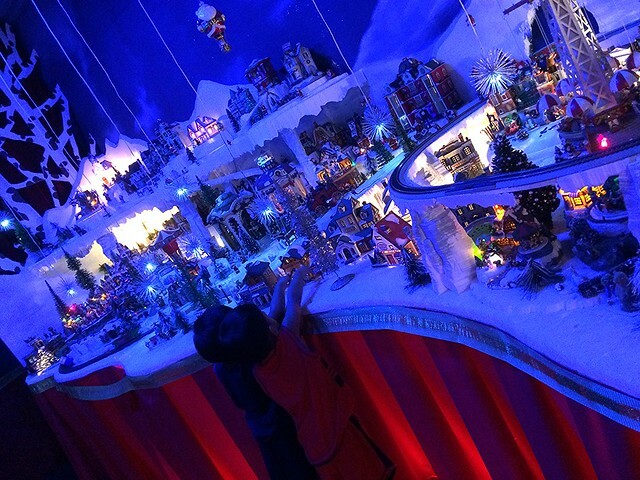 :p Let me tour you around and show you the amazing collections of Santa Claus. 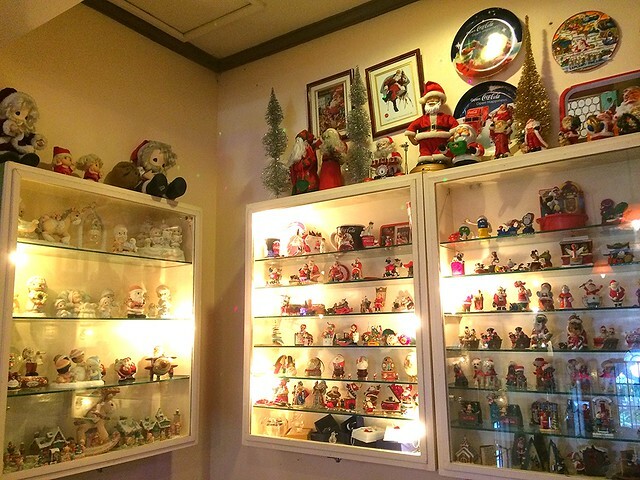 Casa Santa Museum was established by the owner when she didn't have any place to store her Santa Claus collectibles. 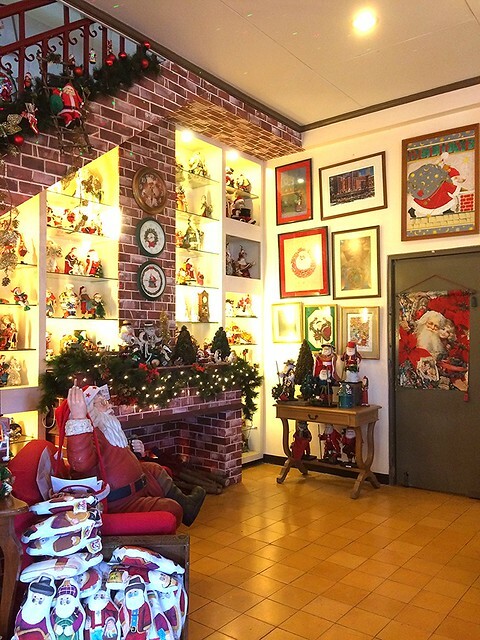 Now, it’s a museum of more than 3,700 items with Christmas and Santa Claus themes and motifs from different countries around the world that is open to the public Christmas or not. 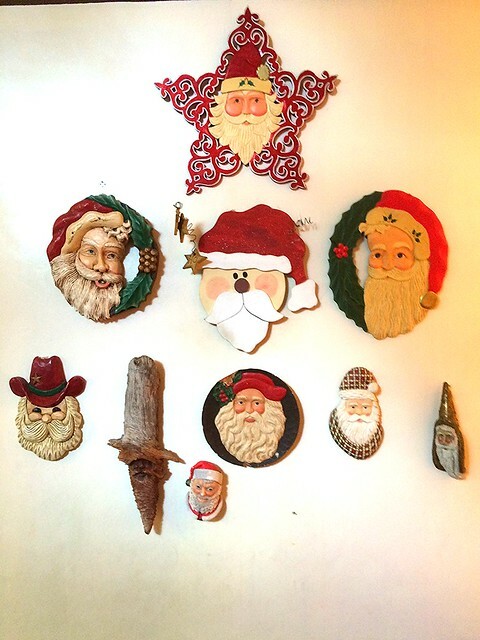 Who is Santa Claus anyway? Santa Claus, also known as Saint Nicholas, Saint Nick, Kris Kringle, Father Christmas, or simply Santa, is a legendary figure of Western culture who is said to bring gifts to the homes of well-behaved ("good" or "nice") children on Christmas Eve (24 December) and the early morning hours of Christmas Day (25 December).The modern Santa Claus grew out of traditions surrounding the historical Saint Nicholas, a fourth-century Greek bishop and gift-giver of Myra, the British figure of Father Christmas, the Dutch figure of Sinterklaas (himself based on Saint Nicholas), the German figure of the Christkind (a fabulized Christ Child), and the holidays of Twelfth Night and Epiphany and their associated figures of the Three Kings (based on the gift-giving Magi of the Nativity) and Befana. Some maintain Santa Claus also absorbed elements of the Germanic god Wodan, who was associated with the pagan midwinter event of Yule and led the Wild Hunt, a ghostly procession through the sky. 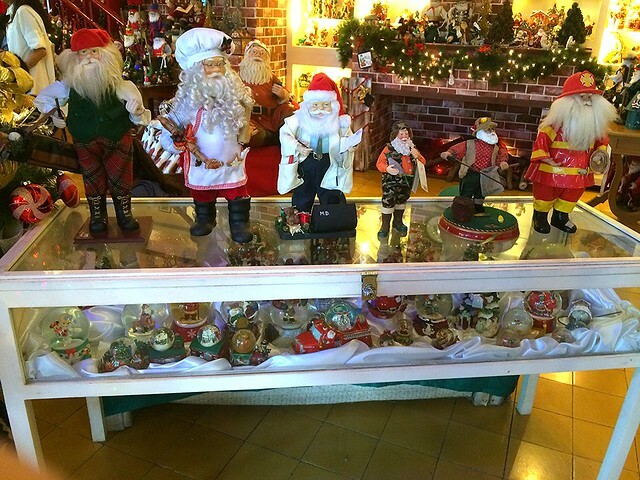 Saw the smallest Santa Claus figurines! 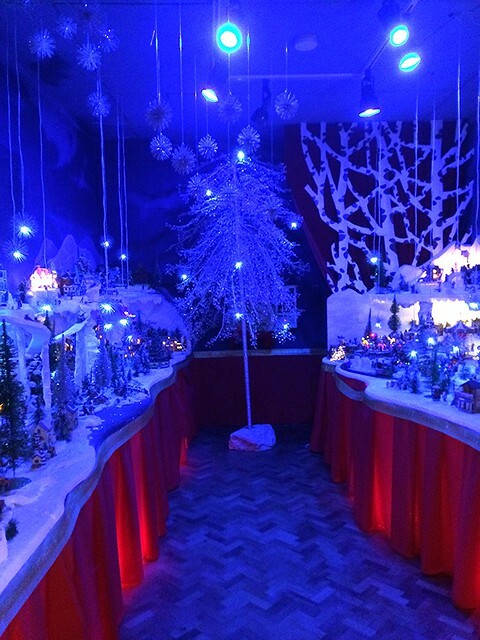 One of my kid's favorite spot at the Casa Santa Museum. 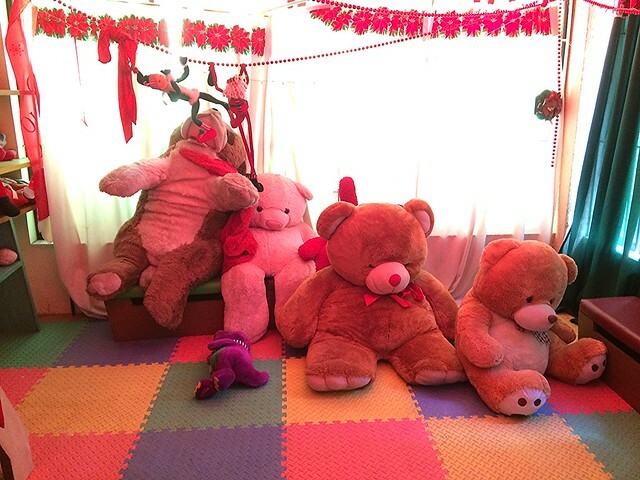 There's also a small playroom with big stuff toys and Santa Claus stuff toys! 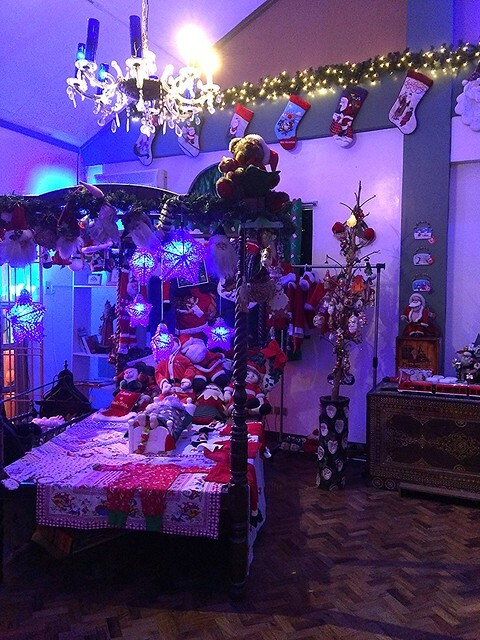 There is a loft area where the Santa Claus chess is located. 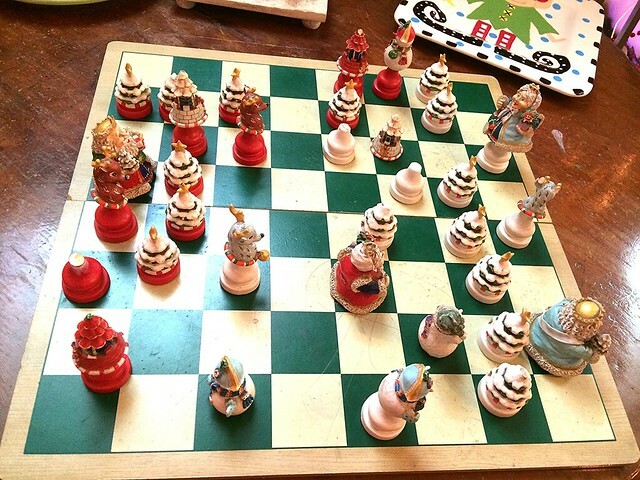 My kids not knowing what chess is, really enjoyed playing the chess. View at the loft. There is also a piano at the living area. All in all the experience was fun especially to my kids. 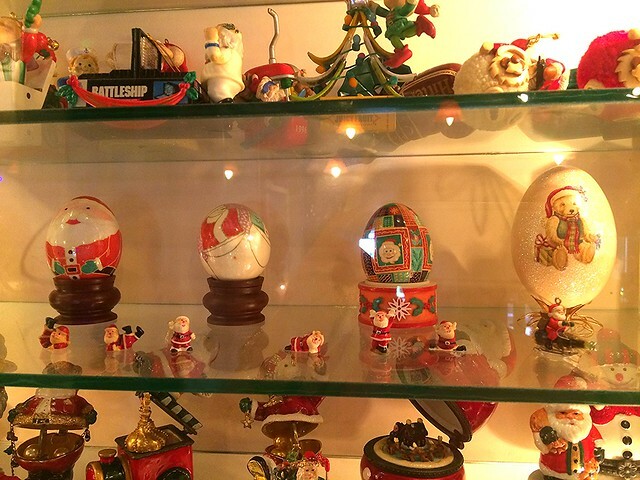 I never thought that a small house full of Santa Claus collectibles will make them occupied and curious. The entrance fee was a bit expensive (P20 pesos na lang pwede ka ng mag-Pinto Art Museum), but it was still a nice try as we actually enjoyed roaming and checking the collectibles around. 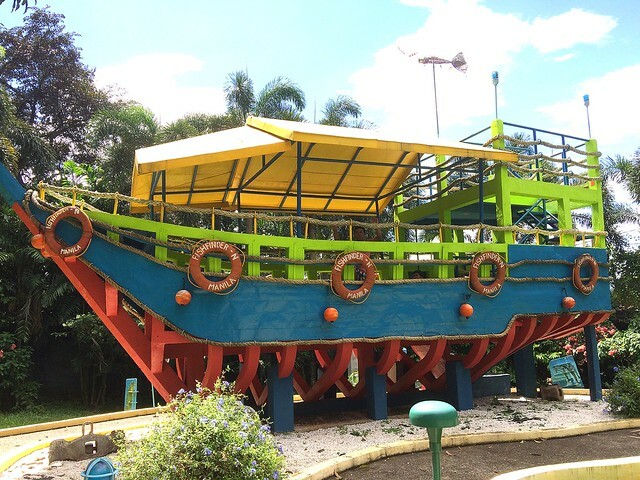 They also have the GALERA where kids can play in the pyramid tree, monkey swings, bridges, lighthouse, swings with Noah’s animals in mosiac, and the 30-foot NOAH’s Ark. We went there for a while but its so hot at mid-lunch and we didn't allow the twins to play. You can actually tour the whole event area of Jardin De Miramar but they have an ongoing event that time. For questions about rates and associated packages, please don’t hesitate to call them. 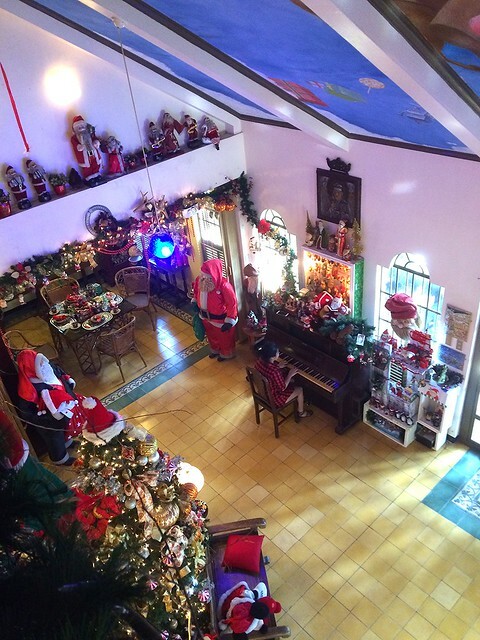 Casa Santa tours starts at P180.00 per person, booking can be done by reservation only! Minimum of 5 person for non-open date schedules. And here is our advance greeting to everyone! Merry Christmas from my small family to yours!